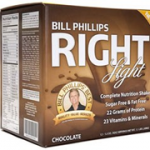 We recently came across the Bill Phillips Right Light Shake so this week we decided to spend some time focusing on this new diet drink. Browsing over the label of the Right Light box, we were pleasantly surprised to find a list of quality ingredients. 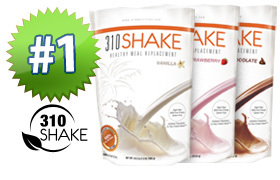 This shake includes a whey blend of isolates, caseinates and milk proteins combined with a bountiful amount of vitamins and nutrients (most over the %50 RDA!). 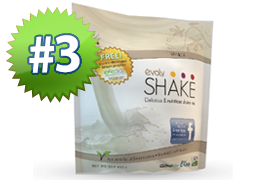 It also contains a probiotic blend of 1 million organisms that may promote good digestive health. However, we were a little disappointed to see that along with all these great ingredients, artificial sweeteners have been added such as maltodextrin and sucralose. Another downside to Right Light? The product doesn’t boast much in terms of keeping hunger at bay. In fact, the only ingredients that may work as appetite suppressants are the minimal 3 grams of fiber and green tea extract. If this is your product of choice, consider having some snacks on hand to keep your tummy full and energy levels constant. Finally, the taste was pretty average. 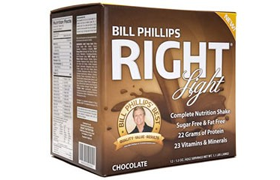 In our opinion, it tastes exactly how you would expect a diet shake to taste like – a bit bland with a hint of a “fake sugar” aftertaste. Overall though, we think this is a good meal replacement shake. 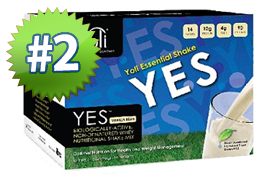 Besides the artificial sweeteners, it does not contain soy, has good ingredients and nutrients.